I sit at my keyboard trying to consolidate my thoughts on Wilderness, what it means to me…. How to share that feeling…. You know the one – where you are standing by a mountain lake in a valley carved by glaciers 10,000 years ago. Or deep in Aredrock Canyon where only a sliver of blue sky is visible. Do I use words? Pictures? A Poem? Perhaps a painting? The task, which I gladly accepted, has been one of the hardest to accomplish. Ideas have tumbled through my brain for months, but none have consolidated into a single train of thought. Do I discuss my professional role? I work in recreation for the National Forest. My district has 3 Wilderness Areas. More acreage is Wilderness than not. Should the discussion be about the myriad of calls from the public? Should the discussion be about my childhood and the importance of nature to cleanse the soul? Backpacking in the High Uinta Wilderness, the Wind Rivers, or the Grand Tetons? Or escaping the snowmobiles on a backcountry ski trip? Maybe about being confronted by a motorcycler in a Southern Utah canyon wondering if I was one of those “Wilderness Kooks”? Easter trips in Southern Utah. Summer trips in the mountains. Always in Wilderness. No motorized travel, all by foot. We weren’t a horse family. Maybe it should be about my children and their children and their children’s children. How important it is for them to be able to experience what I experienced as a child. To hopefully share in the same wonder. Connected through time by a feeling – the sense of wonderment that only a truly Wild place can bring you. A place protected by our country’s laws, thanks to the foresight of a prior generation. Trying to share a feeling or idea that’s tumbled through the clothes dryer can seem impossible. I understand why painters paint and photographers take pictures, why poets write and composers create music. The concise photo, the intricate lines of a poem or the ridges of oil paint can encompass and evoke all of the feelings at once. There are a some famous words on Wilderness that many people know — Untrammeled — A place where man visits but shall not remain — non-mechanized — but these are only snippets of the whole. The whole is much larger and harder to define, let alone share. I grew up in the sticks, running around in the BLM land that bordered our property. My time was spent tromping through the hills with my childhood friend. Backpacking in summer, cross country skiing in the winter. 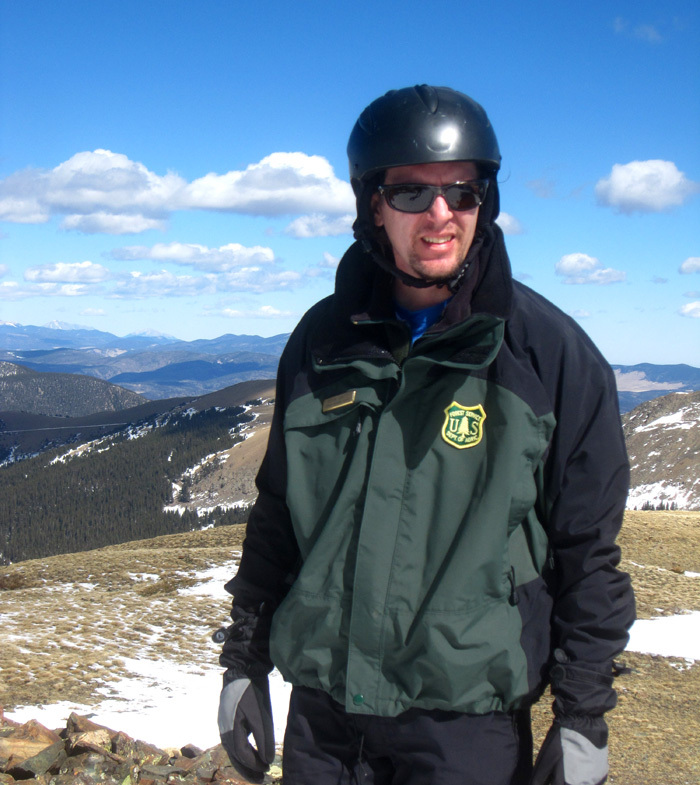 Naturally I moved into working for the Forest Service; twenty years and still going. I earned a degree in Environmental studies with an emphasis in recreation resource management, but was diverted from recreation for 15 years by wildland firefighting. I was good at it and enjoyed the work. Now I enjoy the opportunity to work at getting recreationists into the forest to enjoy nature. I love to put my practice into reality with my family and children.